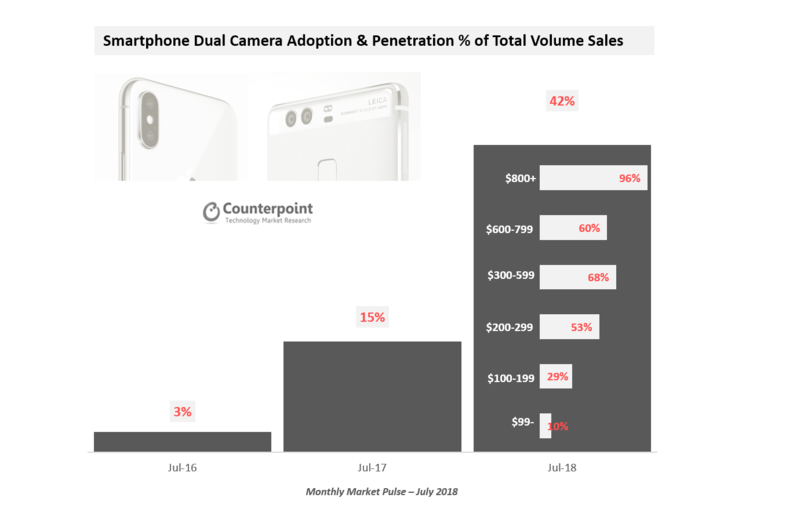 Almost 42% of smartphones sold globally in July 2018 sported two or more rear camera (dual+) sensors and this dual+ camera sensors adoption in smartphones is estimated to grow to 60% of total smartphone sales by the end of 2018. 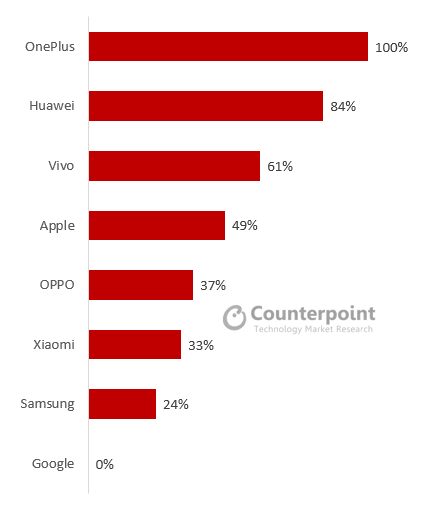 While the megapixel war has almost peaked (see here), multiple sensors in phones is the new battleground. 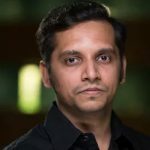 Dual cameras are becoming a common fixture on modern day smartphones (see here) and this will drive many camera intensive features such as bokeh, telephoto zoom, portrait mode, wide angle photos, augmented reality and more. We are seeing companies racing to differentiate with their cameras using multiple sensors in their phones to create new experiences. 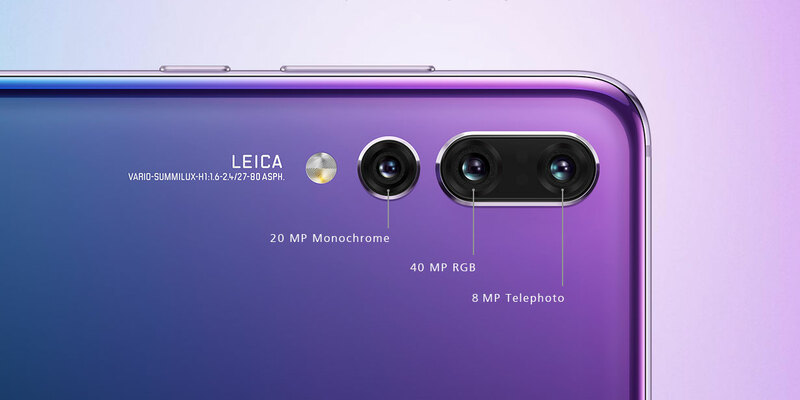 The Huawei P20 Pro (see here), iPhone X, Samsung Galaxy Note 8 (see here) to name a few, are examples of phones leading the dual+ camera sensor implementation drive. In just 12 months, penetration has gone from 15% to 42% and in 24 months from 3% to 42%.